The smiling shamrock says it all! 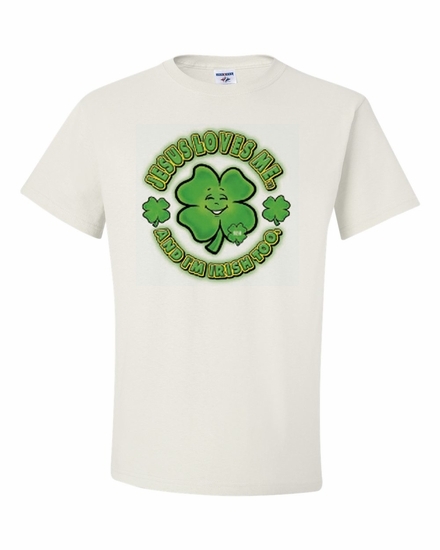 Our Jesus Loves Me, and I'm Irish Too t-shirts and sweatshirts make a great gift for that special someone. Remember� you found the Jesus Loves Me, and I'm Irish Too Shirts at TShirtHub.com, where high quality came at a low price.